Pinot noir is the name of a grape variety used to make red wine of excellent quality and, along with chardonnay grapes, the best champagne in the country. 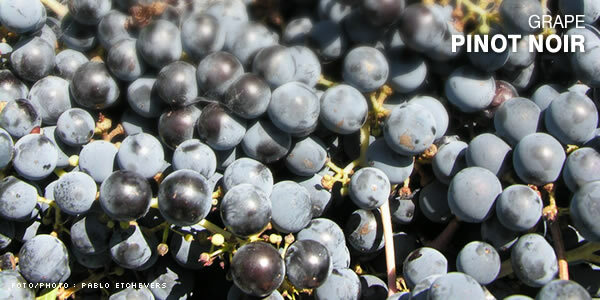 Its name derives from the French language, in which pinot stands for “pine tree” –as its cluster resembles a small pine- and noir means “black”, making reference to the color of the grapes. This variety gives origin to the best Uruguayan champagne and the secret to prevent the skin color from tingeing the drink is to avoid squeezing it too much when the juice is extracted. The juice then undergoes a slow process of fermentation until it is ready to become champagne. The secret of this wine is the care given to the grapes. Uruguay features a rich geography teeming with varied sceneries which range from small hills and hot spring paradises to the most exclusive beaches and cities where culture co-exists with tourism perfectly. Search for the photograph of your next destination and discover where it was taken.